"What I am about to show you next may shock and educate you." "Modern museum perfection. Very, very good."  Dr. McCoy, Star Trek, "City on the Edge of Forever"
The brightest heaven of invention. . . Some of my most satisfying work has come while researching and crafting content in various media for museum programs and exhibitions. No matter what the medium is, my dedicated goal is to inspire as well as educate, to instill in the audience the desire to continue exploring on their own the topics illuminated. To evoke as well as inform. In my work for museums, my overarching philosophy is that the material should connect with you on an emotional as well as intellectual level. After all, knowledge is no more just a collection of facts than a house is just a pile of bricks and lumber, and you always remember the connections that move you to go "Aha!" or "Wow!" or laugh at an unexpectedly humorous yet lucid point. Just like when I'm when writing fiction, it's up to me to discover a compelling way for the material to tell its story. Much of this work was done under the aegis of Discovery Communications and Antenna Audio (now Antenna International), which is pretty cool in my book. Here's one that came to me via Discovery and Antenna for the Seattle Art Museum, who liked my earlier work enough to ask for me again. (Awesome, I liked them too.) 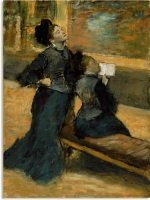 This time the exhibition was Inspiring Impressionism: The Impressionists and the Art of the Past. Spending quality time with some of my favorite painters and their work? From a fascinating artistic period? Also with the much older masters, such as Titian, who inspired them? Yeah, that works for me. Have you visited the U.S. Marines Command Museum in San Diego, specifically their hall devoted to the Marines during the Vietnam War? Did you like that awesome audio tour? Yeah, I wrote that. Boy, did I enjoy this entire production process from start to finish! 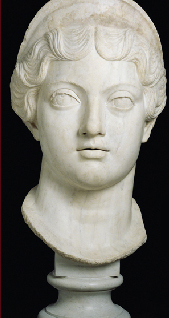 For the Seattle Art Museum, I scripted the hour-long media tour through the exhibition Roman Art from the Louvre. My favorite project in recent years? Yeah, I think so. For weeks I got to immerse myself in Paris's Musée du Louvre's collection while researching and writing about Roman Empire history, art, culture, emperors and empresses, society, and everyday life  all encompassed in almost two hundred 2,000-years-old Imperial statues, portraits, mosaics, reliefs, military documents, funerary items, and more. Plus, working with the Seattle museum staff, and especially guest curator Dr. Peg Laird from the Univ. of Washington, was a gratifying professional experience. This big project stretched my creative muscles in new directions. I was the scriptwriter for media used throughout the new high-tech makeover of the George H.W. Bush (that's the father, mind you) Presidential Library and Museum. Now I can say that I've written a script for a former U.S. president  his part of the production took place in a studio in Kennebunkport  and got to touch a section of the Berlin Wall. 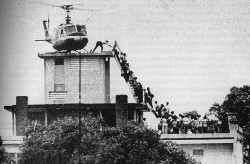 With politics left at the door, I enjoyed this high-profile project in biography and history. From the Boston Museum of Science is Star Wars: Where Science Meets Imagination. The exhibition was funded by the National Science Foundation, with the collaboration and support of Lucasfilm. This time my interviews included Dr. John Donoghue from Brown University on mind-machine interfacing (chosen for Discover magazine's Top 100 Science Stories of the Year), and an hour and a half with actor Anthony Daniels on his experiences filming the series and his approach to making C-3PO "human." The exhibition's travel itinerary included the Oregon Museum of Science and Industry, which is the science center that brought me to the Pacific Northwest in the first place. 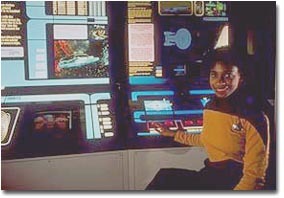 While at OMSI I was the head writer for Star Trek: Federation Science — which toured to the Boston Museum of Science. "The circle is now complete." 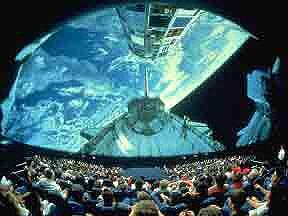 For Chicago's Adler Planetarium and Astronomy Museum, I scripted a dramatic media tour, the hour-long guided "journey through time and space" to explore the museum's world-class exhibitions and famous collection. My interview subjects for this one included Capt. Jim Lovell, a.k.a. the guy Tom Hanks played in Apollo 13. Highlights include Capt. Lovell describing his experiences aboard Apollo 13 and the museum's artifacts from the mission; Adler Vice President for Research Dr. Lucy Fortson discussing the future of space exploration and her first-hand understanding of having a husband whose own research stations him underground for months in the Arctic; a visit to the workshop of a 15th century sundial maker; and an Earth-shattering explosion as an enormous meteorite crashes into Arizona, blasting out what is now Barringer Crater. This job does have its perks. It was an exceptionally enjoyable production experience, with my thanks to the superb Chicago staff. As luck would have it, my biggest job in this realm was as Lead Writer for one of the largest and most popular, not to mention one of the most fun, educational exhibitions to tour across two continents. This tremendous blockbuster science exhibition was produced by the Oregon Museum of Science and Industry (OMSI) in collaboration with Paramount Pictures. As visitors interact with 40 modular stations, they explore the real-life science behind Star Trek fiction. As Lead Writer, I researched and wrote text for activities employing modern museum technology and touch-screen computer displays to present issues of biology, physics, communications, living in space, space flight history, and more in an illuminating and entertaining way. Here was a dream job for a writer who is also a science buff and long-time Star Trek fan. This was a big responsibility, creating informative and entertaining text for three dozen interactive stations that use Star Trek design and concepts to explore and illuminate diverse areas of science and technology. And I'm pleased to say that it was all a screaming success. 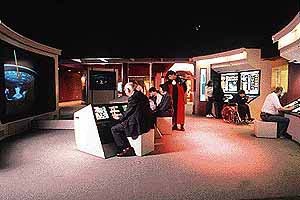 Arguably the most popular section is the Bridge, complete with interactive "mission" program consoles and a 120-inch viewscreen. Facing the screen are four consoles that run real-world science "solve the problem" programs: using the ship's tractor beam, apply trajectories and forces to move an asteroid that's on a collision course with a planet; employ spectrography to analyze a planetary atmosphere; solve a navigation problem using triangulation; or pilot the ship into a proper docking orbit with a space station. These challenging computerized mission puzzles lead you through important pieces of science fact and activities step by step. If needed, pressing an info button brings up a Next Generation crewmate such as Data, Worf, La Forge, or Riker, who guides you through the knowledge you need to complete the tasks. 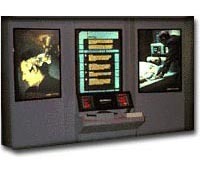 By successfully completing a mission, you get to choose from a number of visuals to display on the giant viewscreen, from firing the Enterprise's phasers to selecting a starship maneuver to viewing alien vessels flying by. Other highlights include thematic representations of science stations throughout the starship Enterprise. The Engineering section examines questions of propulsion, gravity, magnetism, radiation, antimatter, cosmic rays, the electromagnetic spectrum, and gyroscopes. Sickbay looks at the human immune system and the way antibodies react to fight off "invaders," and how the modern equivalents of Trek's tricorders measure pulse rate, heartbeat and blood oxygen levels. An Away Team area called Living in Space explores the realities of space travel as we know it, from food to life support to going to the bathroom. 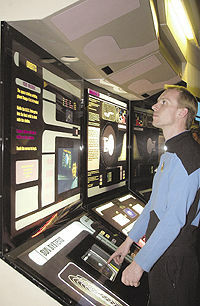 Some activities are just for fun, such as the "Transporter Room" that uses state-of-the-art video technology to "beam" participants into virtual computer-generated interactive environments; or "Aliens and Me," where clever optical trickery helps you visualize yourself as a Klingon or Ferengi (all part of Starfleet diplomatic training, of course). Plus, throughout the exhibition are videos featuring Star Trek: The Next Generation cast members, props and costumes used in the series and movies, and quotations and images from Star Trek old and new. And yeah — it's pleasant to see my writing formatted and displayed like read-out panels on the Enterprise. Above left: A wide view of the Bridge activity area. 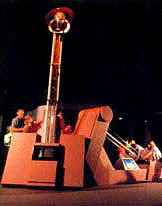 Above right: At the London opening, a "crewman" demonstrates one of the educational activity stations. Above left: Gravity Whirl — demonstrating how gravity wells can be used to direct the course of a spacecraft, such as our robot probes to Jupiter and beyond. Above right: An educational activity station in the Medical Sciences area. 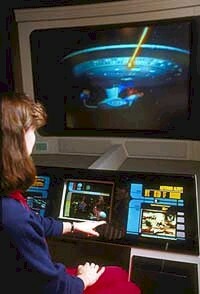 Last I heard, a version of Star Trek: Federation Science wowed 'em at science centers across Europe. (So how, I ask with a Spockish eyebrow-lift, can I spin this — with my fiction reprints in France and other overseas markets — into a profitable European fan base?) Another edition was a scaled-down version of the original for small-to-mid-sized museums in the U.S.
A great deal of my work for this exhibition became the text for a 61-page color exhibition guide published by Science Network. The SciFi Channel's web site liked the exhibition book so much they devoted a "Cool SciFi Stuff" page to it. I have a special warm spot in my heart for Star Trek: Federation Science. It was one of those splendid professional projects that come along all too rarely. And without this project there would have been no Star Trek: Orion Rendezvous planetarium show, and without that I likely would never have met a certain computer graphics expert who is now my wife. As detailed elsewhere on this site, my other responsibilities as Writer included scripting Star Trek cast videos and writing/directing Star Trek: Orion Rendezvous. Creative director and scriptwriter for the OMNIMAX Theater inaugural multimedia show at the Oregon Museum of Science and Industry. The OMNIMAX Theater's giant curved screen spans more than 100° and is as tall as a five-story building. In cooperation with EdgeLight Productions, my job was to help create a show that entertainingly introduced audiences to the theater's technology and environment. So the script, titled "The Big Red Button," involved two school kids who sneak into the OMNIMAX control booth and press (you guessed it) the Big Red Button, bringing the theater to life — complete with robust narrator and explosive visuals. My eventual wife Elizabeth served magnificently as the visual designer (her giant T-Rex was an animated marvel), and between us we created an imaginative, eye-popping audio-visual introduction to the OMNIMAX experience. So even though it's not the biggest show I've ever done, it is unquestionably the biggest show I've ever done. I composed descriptive text for OMSI's Voyager Gallery, an exhibition of interplanetary photographs beamed back from NASA's two Voyager spacecraft. This one was right up my alley. The Voyager photos of the outer planets are among the most breathtaking ever seen, and supplying the text for this project allowed me to study large reproductions of them up close and personal. Voyagers 1 and 2 made it clear that art and science can be kissing cousins, and that the greatest art gallery of them all is located above our heads. I scripted text and character roles for a touch-screen computer game that was part of the Oregon Museum of Science and Industry's More Power to You! exhibit. This game actually started its life as one of the videos commissioned for the exhibit (see the Video page for more about that). However, due to budget constraints, it was decided that the script on alternative energy sources would be adapted toward a computer game that conveyed the same information in an interactive, fully engaging manner. So adapt I did, working with the game designer and programmer to expand the video's narration to two wryly humorous "talking head" talents who guide (or goad) the player toward greater understanding of alternative energy issues. Voila! A few months later my first CD-ROM-based game became a permanent part of the exhibit. I hope to do more.